A vine ripened garden tomato is one of the greatest gifts in food. The sweet and acidic flavor isn't comparable to the disenchanted and bland ones found at big box supermarkets. Aside for eating it like an apple, if you find a good tomato, use it in a salad, soup, sandwich, or fresh tomato sauce. The moral of the story is don't waste a single homegrown tomato this summer and make these fabulous tomato recipes. If you've never made marinara sauce from scratch, you're missing out. 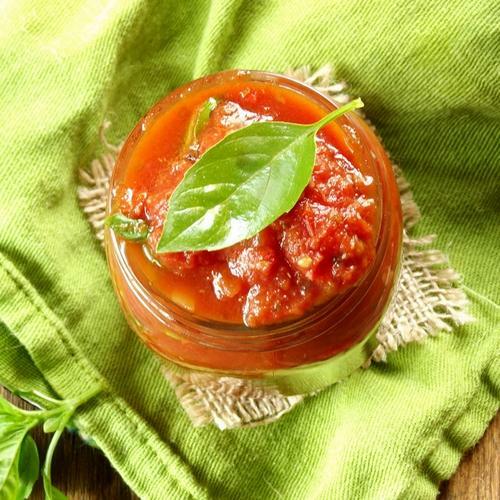 This homemade tomato sauce is dynamite with anything from pizza to spaghetti and even a dipping sauce. The key is using the best tomatoes you can find along with fresh herbs and wine. These low carb grilled Portobello mushroom pizzas are a quick and easy vegetarian meal. Grilled Portobello mushrooms take on a smoky meaty quality that compliments the sweet tomatoes and bell peppers. The goat cheese adds richness and a tart accent to the dish. 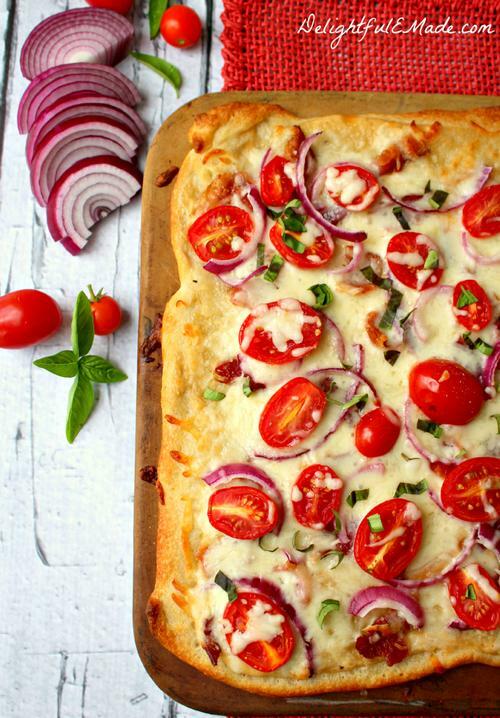 Alfredo pizza with tomatoes, bacon and onion are a delicious way to use up end of summer tomatoes. While this recipe calls for grape tomatoes, you can use whatever tomatoes you have on hand that are growing in your garden. Make this white pizza in the oven or on the grill. Nothing tastes quite like a summer tomato. This salad highlights this summer fruit by pairing it with other uplifting flavors that dance on the palette. Tuna and tomato salad is a great picnic dish because it transports easily and gets better the longer it sits. Tomatoes and cheese are best friends so it's no wonder that they work fabulously in this delicious tart. 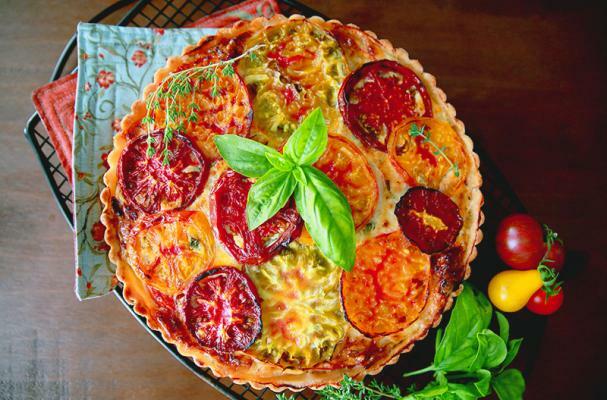 Heirloom tomatoes are layered in a buttery crust with Gruyere cheese, sweet onion, thyme, and more. Once you take your first bite, one slice may not be enough to satiate you.